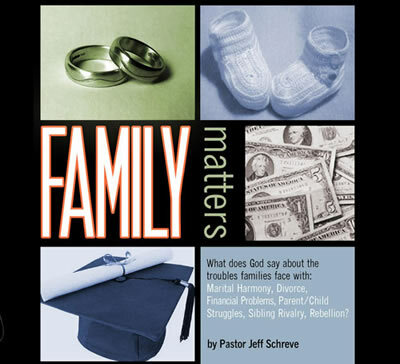 In this insightful 6-MESSAGE SERIES, Pastor Jeff Schreve shares practical, biblical answers to the matters that all families face: marriage, divorce, finances, sibling rivalry, parenting, and rebellion. It is practical teaching for all your "family matters." Now, God wants you to win at home, but if you have children, you’ll not be a successful parent unless you understand God’s plan for parenting. King David was a man after God’s own heart, but he was a loser of a parent. 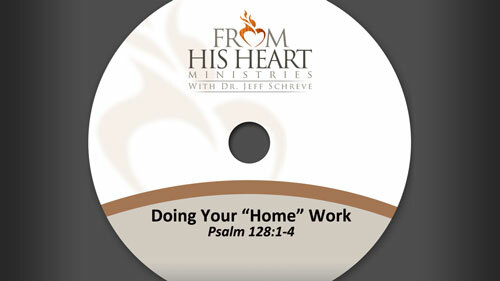 In this encouraging lesson, Jeff will look at David’s life and notice three characteristics of a winning parent, because that’s what God wants you to be. There’s nothing more precious than a person’s family, but the devil wants to wreck it. He wants to destroy your marriage, your relationship with your kids, family intimacy, harmony, and even family fun. We can’t be ignorant of his schemes. In this hard-hitting message, Jeff describes the 5 ways the devil uses to ruin a family and shed light on areas that can cripple your home and show you how to get help. Lots of people in America don’t have a good marriage. Love American Style has become an excuse to toss the marriage away. They are so unhappy emotionally that they go to divorce court right away. It’s built on feeling without commitment, lasting commitment. Is that the way God intended marriages to be? No! And in this lesson, Love American Style, Jeff shows us how to have a marriage sustained by God and not emotion and what he thinks about divorce when it can’t be avoided. When couples first get married, they want a marriage that sizzles, a marriage that is on fire with passion and love and excitement. Is it possible to have a marriage like that? Yes! Pastor Jeff reveals what God’s Word tells us about how to have a marriage that is off the charts based on the example of the very first marriage between a man named Adam and his wife, Eve. If you want to have a successful and happy home, you must do your homework concerning what God says makes for a happy home. There are three subjects to study that will be blessings from God into your family. Failing to do your homework here can make families fall apart.